Happy Friday! Today, I wanted to share with you a card that uses one of the new stamp sets from the new Annual Catalog. 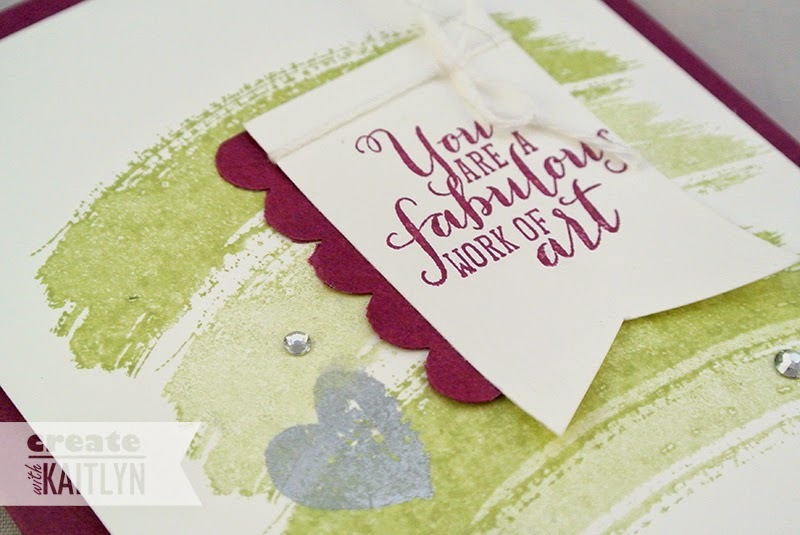 The Work of Art stamp set has lots of watercolor-like images and can be super versatile. As you can see, this card is pretty simple as I let the stamped images do all of the hard work. To get the two toned look, I stamped the long watercolor image twice in Pear Pizzazz before re-inking the stamp. I love the combination of Pear Pizzazz and Rich Razzleberry, but it is sent over the edge with the easy touch of Silver. I love this sentiment that is included in the set. It would easily cheer up anyone's day! I highlighted the sentiment by putting it on its own layer and embellishing it with a Scallop Edge and a White Baker's Twine bow. (Did you see all of the new colors of Baker's Twine in the Catalog???? I am in love and need all of them!) 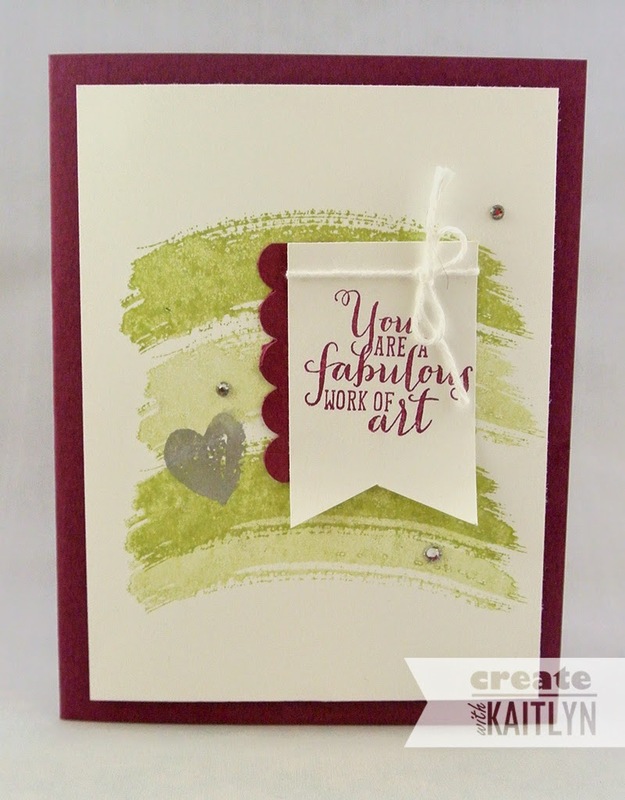 A couple of Basic Rhinestones finished the card of perfectly by giving it a little bit of sparkle!